Every year for Christmas, our primary hands out a primary music CD as our Christmas gift. It contains all of next year's program songs plus an extra 2 songs for each month (36 songs total - 3 songs per month). I've gone through the 2016 outline and picked songs for each month that go along with that month's theme (a majority of the extra songs are found in that month's sharing time as suggestions). I figure a CD with only 8 songs is kind of a waste so I include a few for each month which I will eventually use as all my opening songs throughout the year. Once approved, I created a playlist using iTunes with these songs. I own all the Primary Songs on CD which I've uploaded to iTunes. But if you don't own the CD, you can download all the songs in the Primary Songbook HERE, Praise to the Man can be found HERE and If I Listen With My Heart can be found HERE (make sure when you download, you select "Vocals and Music"). Then I started burning a million CD's! Once burned, I simply took a Sharpie marker and wrote "2016 Primary Songs" on the actual CD. I did take a few random CD's and put them in my CD player to make sure they burned correctly. You can get the document HERE along with a blank one without the song list (just in case your songs are different than mine). To use the blank one, I suggest typing up a list that looks similar to mine (the font I used it just Times New Roman), cutting it so it will fit within the blank square space and taping it on. When you make photo copies, you will never know that you literally copied and pasted. I do like the black and white cover only because I make copies at the library and they are free. I also tell the kids they are welcome to color their CD cover to make it more personalized. The artwork I chose is from LDS.org found HERE. Once I have my copies made, I cut around on the black lines with the exception of down the middle. I fold it there and simply slide it into the cd jewel case. The size, once cut out, measures 5 inches and 5.5 centimeters both across and down, making it a perfect square. Find the document HERE. 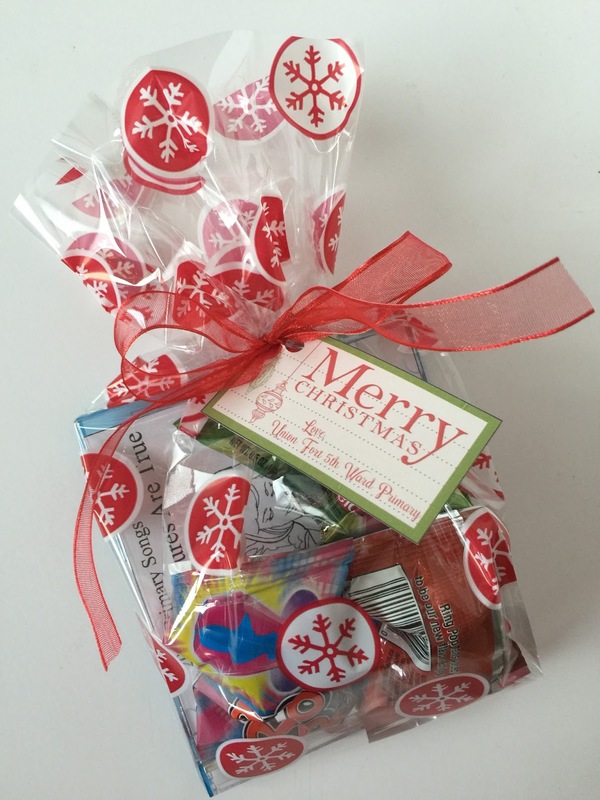 I hole punch the top corner and slide it onto the ribbon. We'll pass these out the Sunday before Christmas and deliver them to the kids who are not/less active. Another option instead of doing a CD is a DVD. They would be similar to the lesson I did HERE for our 2015 Program Showcase, but using 2016 video flip charts. Thanks for creating this! I was looking for this earlier in the week. When I didn't see it, I started making my own. I'm glad I didn't get too far! One thought-- on your song list, you have My Body is a Temple for the song in August. The title should be The Lord Gave Me a Temple. Thanks for sharing all your hard work! Ack! I'm so glad you caught that!! I'll switch everything - I hate mistakes!! Love this idea!! I think I might record a song or two each month that the primary sings and give that to them for their Christmas present instead. This could also make it fun for them to sing it well enough to record them. I'll have to play with that idea but I love that you do this! Thanks! Have you (by chance) done this for this upcoming year (2017)? I just was called as the Primary Chorister and this would be a great lead-in for the upcoming year! My program is over and I just got my 2017 outline so I can get to work on it. I usually try to have it posted before Thanksgiving :). Camille, this is such a fun idea! I love that you include more than just the program songs. 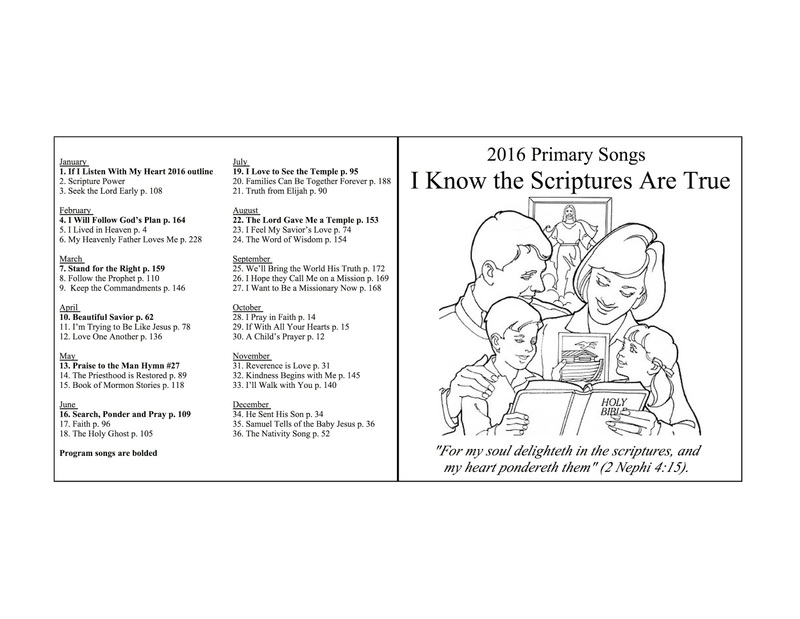 I would like to do this for our primary, but I would like to include a few songs our primary has sung that are not in the children's songbook, like Gethsemane and the Miracle. Do you have any experience with trying to get these recordings and do you know if there are any copyright issues if I am burning them and handing them out to our families? I would assume with songs not in the songbook that there would have copyright issues...I rarely venture out from the songbook so I'm not sure what to tell you. I would maybe pose the question on the choristers FB group and see what others' experience has been. Sorry I'm not more help. 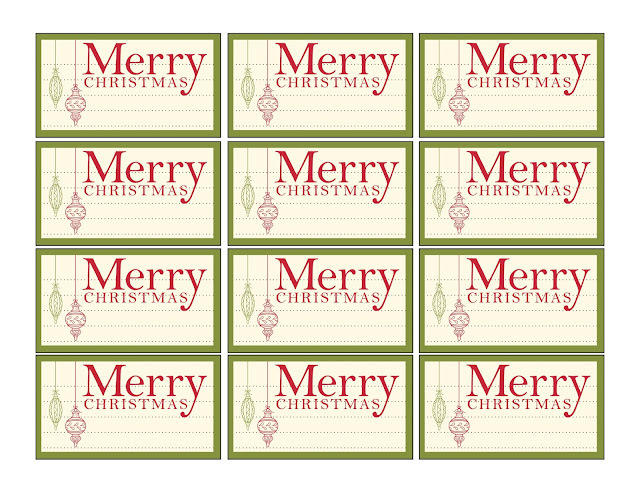 I love your idea and would love to put it to use this Christmas. I clicked on the link but was unable to get the gift tags in Google Docs so that we could edit it for our ward. Could you, please, help me? If it doesn't work, send me your email address via the "Contact Me" feature on the right side bar and I'll email the document to you. The document isn't editable, however, if that is your trouble. You can just download it as is.